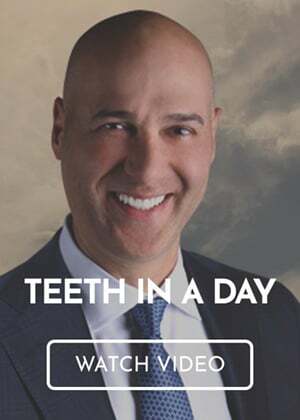 Our Troy, MI gum disease dentist does everything in his power to help you maintain a healthy smile. The best way to avoid gum disease is to brush your teeth twice a day, floss once daily, and see our dentist every 6 months for a teeth cleaning and oral examination. Otherwise, plaque and tartar will build up on the surface of your gums and cause irritation, bleeding, and swelling. Learn how gum disease treatment can help. People with periodontal disease tend to have deep gum pockets around their teeth. Our dentist and hygienists are trained to check for receding gums by measuring the depth of these pockets. We’ll also examine the inside of your mouth for bleeding or swollen gums, loose teeth, and bone loss. If we diagnose you with periodontal disease, we’ll be able to identify the stage and recommend appropriate gum disease treatment. While periodontal disease is irreversible, there are still things you can do to prevent its progression. For example, our gum disease dentist in Troy, MI offers scaling and root planing. During this gum disease treatment, we remove plaque and tartar from the gum pockets around your teeth. We then smooth out your tooth roots so your receding gums have the best chance of reattaching to teeth. Our gum disease dentist is dedicated to helping patients maintain healthy teeth and gums. To request an appointment with our gum disease treatment dentist in Troy, MI, call the Premier Dental Center at (248) 457-0500.